COMMENTS: Perk up the day for someone who is recovering from illness. 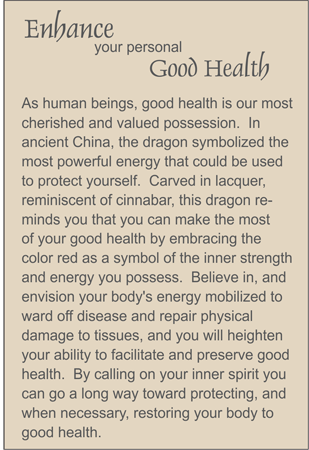 Cinnabar Good Health also comes in classic size. Scroll down to see.